Our Mercedes-Benz road trip #mbrt14 is on. 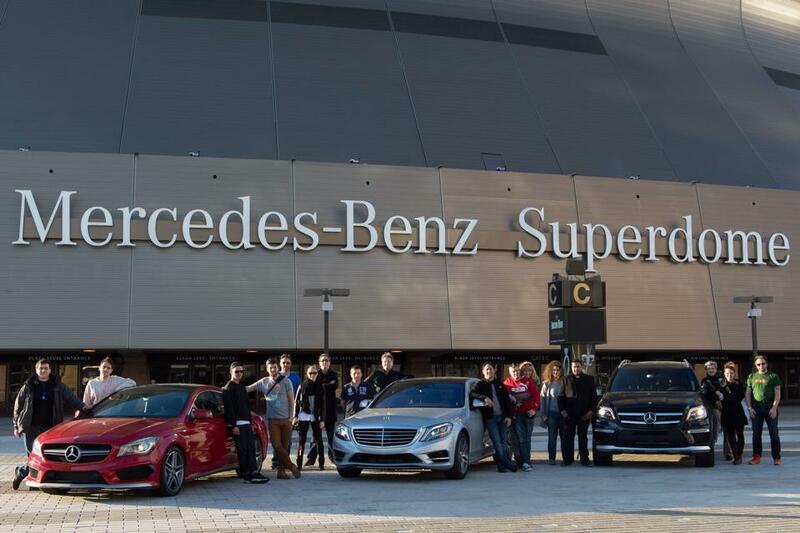 The whole group started in Houston, TX and spent some time in New Orleans and at the famous Mercedes-Benz Superdome yesterday. Beautiful impressions from the road and the lovely city of New Orleans. You remember the arena being one of the rare save places during hurricane Katrina back in 2005. This is the whole crew with a selections of their vehicles. They are from Spain, France, Italy, Germany, Netherlands and the US. I wish I could join the group to get to see the new C-Class today at the Tuscaloosa plant in Alabama. But I won’t. I am not even in the US right now. Don’t fly with the flu … 🙁 So instead of traveling from South to North, I am following them on instagram and their blogs. When I was traveling over 4.500 km from L.A. to Detroit last year (#mbrt13). I was teased because of one of my profile pictures. Omar mad this visual comparison of Woody & myself. The rest of their program? Very simple: Make it through the winter, up north, to Detroit, MI. Where it had a lot of snow and minus 35 degrees celsius. As you can see here, where a beautiful frozen light house has been photographed.